XDS-3 Inverted biological microscopes is equipped with excellent UIS optical system including long working distance plan achromatic objectives and wide field plan eyepieces. Compact and steady main frame ensures high performance of anti-vibration. The rotating condenser system is to obtain the observation of the culture free cells in a high culture dish or cylindric flask. It is with ideal design based on ergonomic, to provide more comfortable operation and larger space. XDS-3 is fit for micro observation of cell tissue and transparent liquid tissue, dynamic micro observation of the culture tissue inside the culture disk is available. 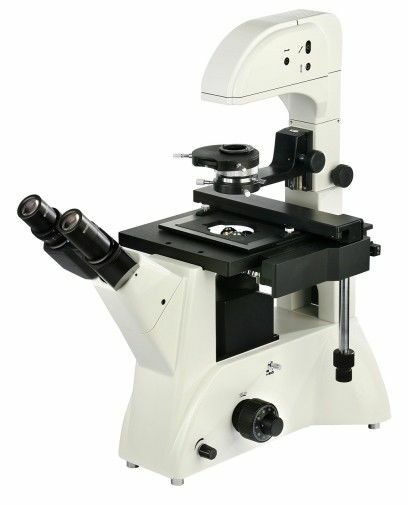 XDS-3 series Inverted biological microscopes is widely used in scientific research, universities, medical treatment, epidemic prevention, agriculture and etc. Infinity and long working distance plan achromatic objective Objective PLL 10X0.25 (Work distance):4.3mm,(Cover glass thickness):1.2mm. PLL 20X0.40 (Work distance):8.0 mm,(Cover glass thickness):1.2mm. PLL 40X0.60 (Work distance):3.5 mm,(Cover glass thickness):1.2mm. Phase Contrast Objective PLL 10X0.25 PHP2 (Work distance):4.3 mm,(Cover glass thickness):1.2mm. Eyepiece tube Inclination angle is 45˚ and interpupillary distance is 53~75mm.